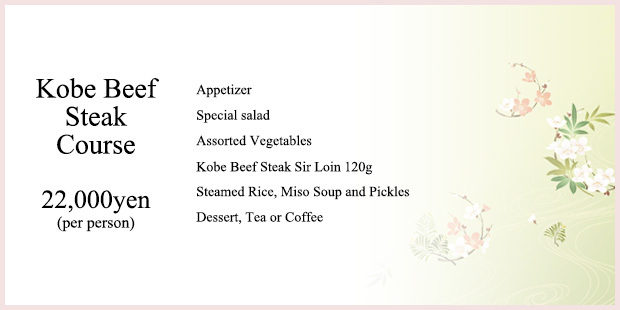 We offer the finest quality meat from Kobe beef to carefully selected black beef and other pedigreed cattle in traditional Japanese atmosphere. 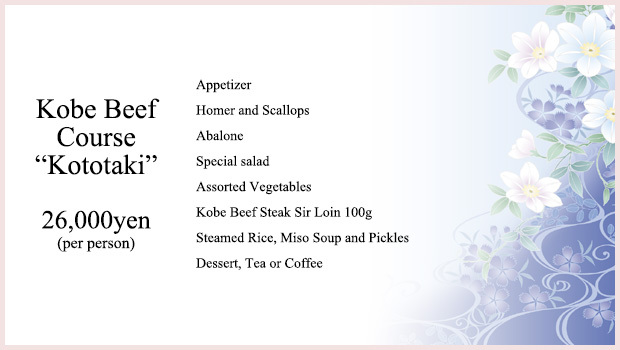 ※ Kobe beef steak 50g for 4,000 yen. 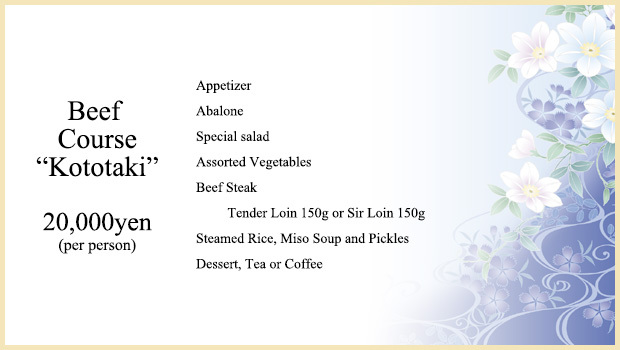 ※ Additional 500 yen If you prefer garlic rice instead of Tanba rice. 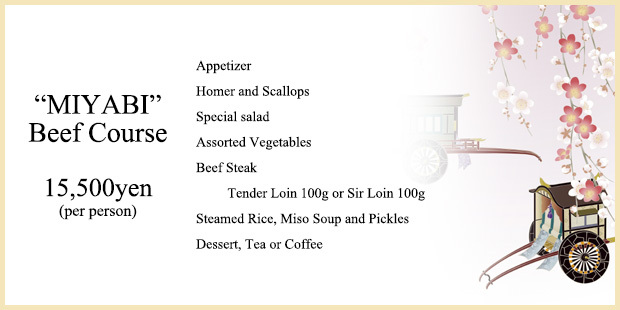 ※ We add a service fee of 10% to the bill. ※ Our dishes change depending on the season.